“Wow!” is probably one of the words you could use to best describe this, (pardon the pun) staggering antler chandelier and probably a word you will hear, most often from those who see it. 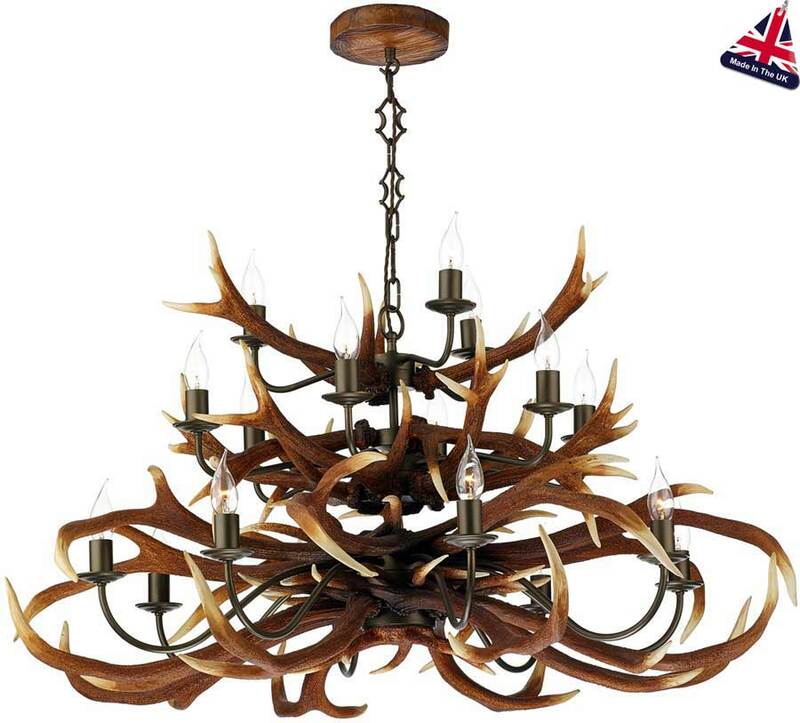 This antler ceiling light has a massive 1.1 meter diameter, that’s a huge 3ft 7 ” which is absolutely amazing and obviously can only be used where there is adequate space. The design of entwined antlers is made from moulded resin and have been individually coloured to give a natural rustic finish tapering to a cream faded tip. 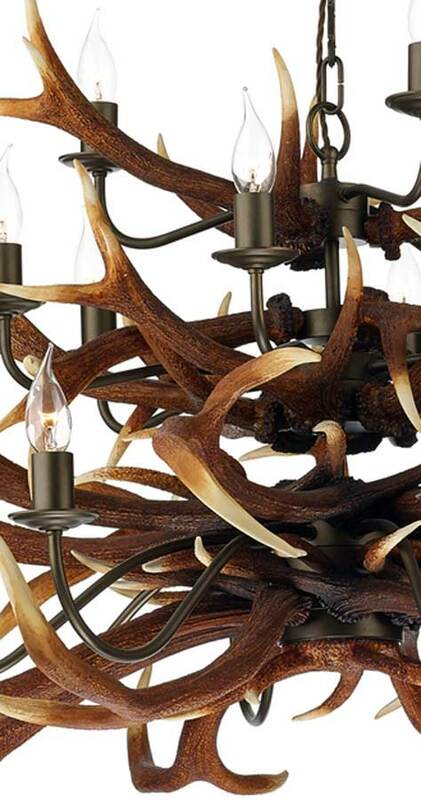 The realistically detailed antlers are staged in three multi-level tiers and provide a grand total of seventeen lamp holders with bronze metalwork arms holding reproduction candle drips and sconce’s. Height adjustable at the time of installation by simply removing one or more of the bronze chain suspension links. Minimum height 100cm, maximum drop 130cm. Additional chain length can be purchased separately, please feel free to contact us to discuss your requirements. This beautiful chandelier can be manufactured to a bespoke diameter up to 140cm in diameter and a chain drop to suit your requirement. Please contact our sales team where we will be happy to provide a price and further information.